This weekend we have four new releases. 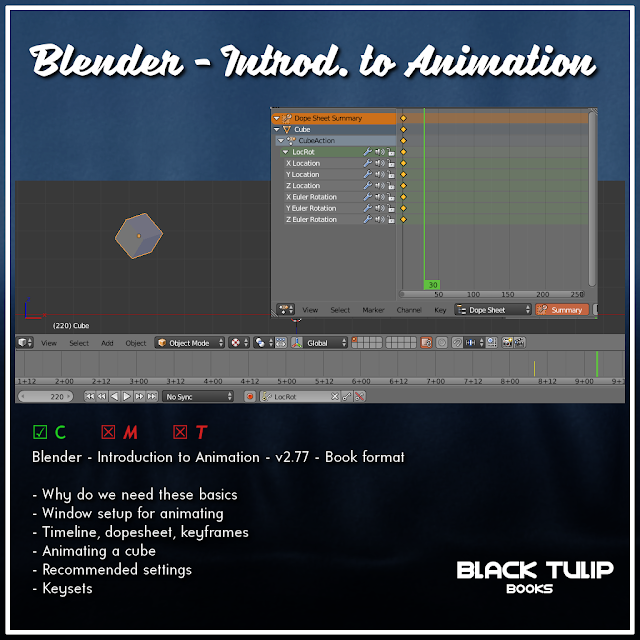 One of them is a Blender book that will give you a good start on animating in Blender, which will be necessary once the Animesh project is live in SL. 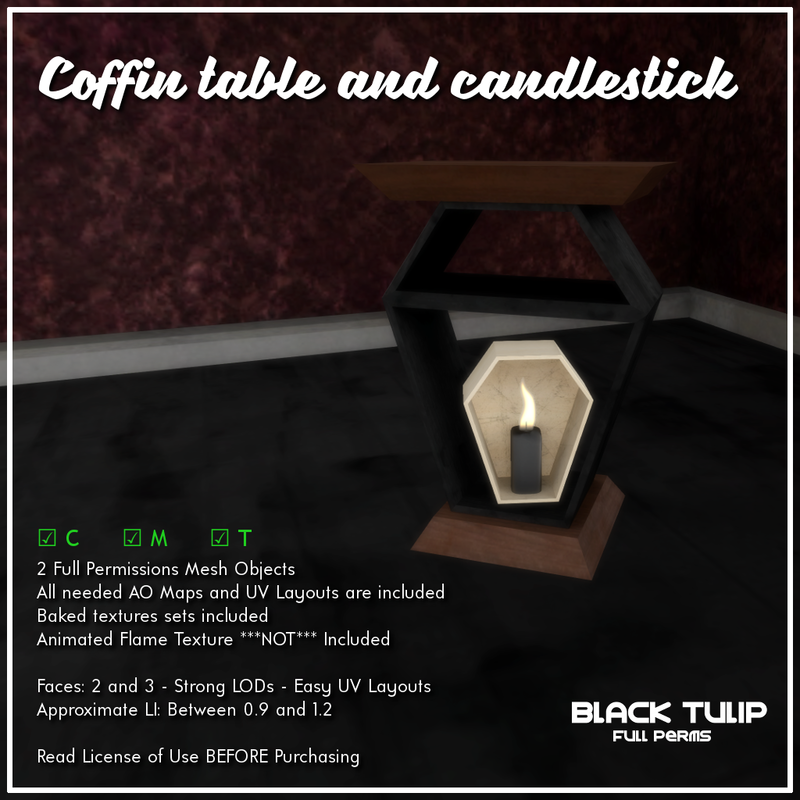 Two of them are two Halloween items: a weeping ghost and a coffin end table plus a coffin-candle. These two sets include baked materials. 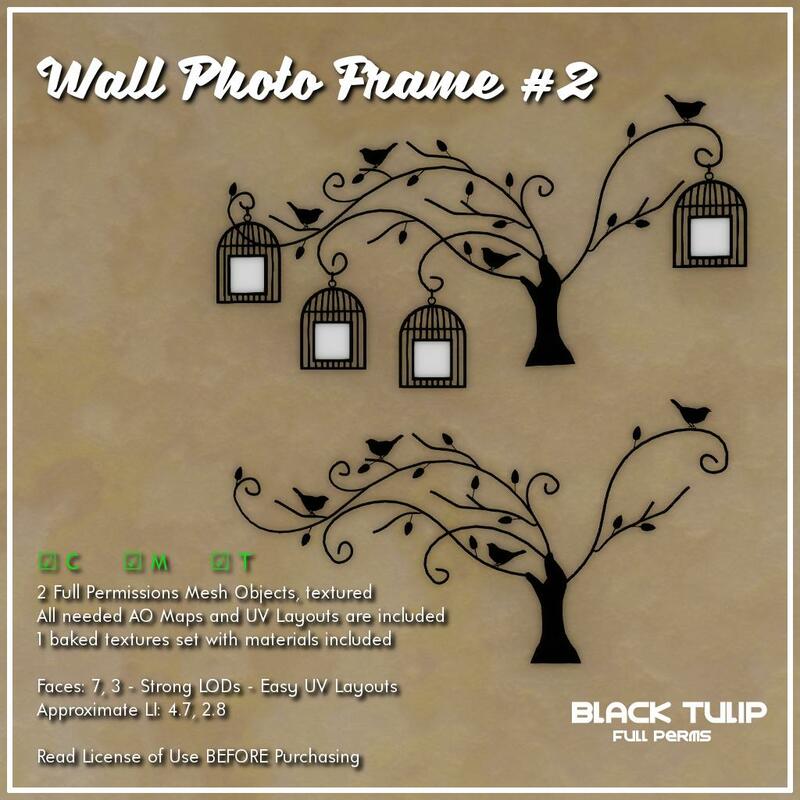 Our fourth item is the beautiful wall photo frame #2, which features a tree with birds and cages where the photos are placed. A version without cages is included, as wall adornment. Baked textures with materials are included.